ILX Recruitment understands that our job is to help your organisation achieve its goals. 'Can you help us find talent?' was a question the ILX Group was often asked by clients after successfully delivering learning or consulting services to their Project / Programme Office. 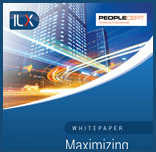 It was with value added service in mind that ILX Recruitment was created. As one of the largest suppliers of project, programme and change management best practice learning in the world the ILX Group is uniquely positioned to help clients identify, attract and retain the best staff. ILX Recruitment has unrivalled access to a range of assessment tools that help identify the very best talent. Our consultants understand the goals of project delivery and programme implementation within organisations as well as our candidates' need to keep up to date with qualifications and delivery methodologies. We combine over 25 years of recruitment experience with 25 years of leadership in best practice learning and consulting in project, programme and portfolio management. We understand that each person, business and situation is unique. Our experience allows us to quickly identify the key issues, provide relevant advice and construct a pragmatic and straightforward solution. Our client base spans a range of industries across the private, public and professional services sectors. ILX Recruitment focuses on building trust and creating long lasting relationships. We understand that every client has different needs when hiring, both in skill set and culture fit, so our consultants will take the time to tailor a unique recruitment solution which will work for you. ILX recruitment takes a long term view to helping candidates develop their careers. In addition to helping to find the right role for you, we provide expert advice and coaching on CV writing, interviews and guidance on which programme and project management training will help you succeed.